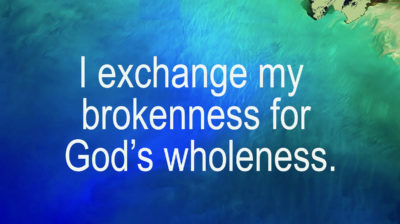 God wants you to be whole…mentally, physically emotionally. And the best way I know to talk about what wholeness looks like is to tell you a story! 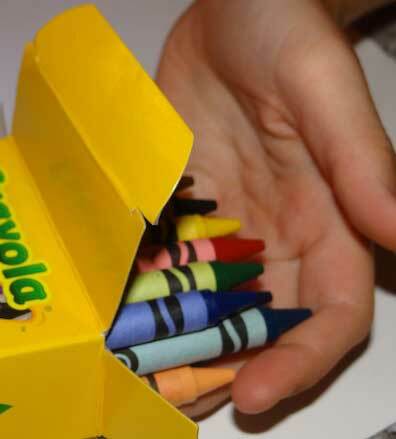 A new box of crayons along with a few other supplies signal the beginning of a new school year. Pencils, pens, paper and notebooks were always simply BORING! 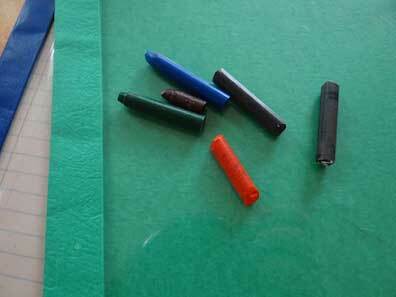 But new crayons were wonderful, especially when I got the big box that had sea foam green inside! That was and still is my favorite color. 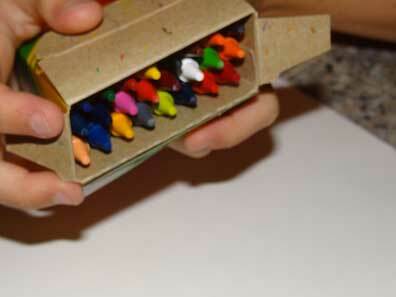 I remember that feeling of absolute delight when I opened that box of NEW crayons. Shiny, waxy, happy colors to make beautiful pictures. Wonderful options, a rainbow of beautiful colors with beautiful names written on the side. A brand new box of shiny crayons doesn’t transform you into an artist, but it certainly makes you feel like one. Those shiny crayons remind me of beautiful people; beautiful opportunities. Each person, like a crayon is designed by God. He loves to make beautiful pictures and stories from our lives, to bring His beauty, His love into the world. But, when I look at the people around me, I see lots of broken people- that are missing their point. The point, the main point and purpose of our lives, continues to be that we were made to love Jesus and bring glory to His name. Without Jesus; we are missing the most precious point and purpose of life. Often the pressures of life break people. People are broken by disappointments, abuse, fear, anger and rejection. Like broken crayons in the back of a closet; their potential goes undeveloped and their dreams unrealized; no pictures, only the dark scribbles of human effort, desperate stabs at producing the great work of art God intended. We do our best work in God’s hand. There we flourish and become beautiful. 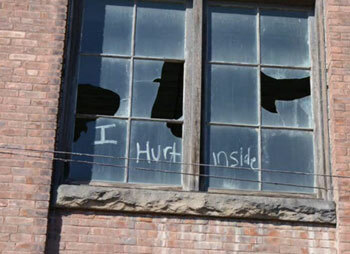 People that are broken by life, abused, lonely and crippled with pain. He doesn’t recoil at the ugliness. He doesn’t look away when He passes bleeding, broken people that fail at life or struggle with addictions. They are valuable to Him. They are His treasures. He moves close to them. 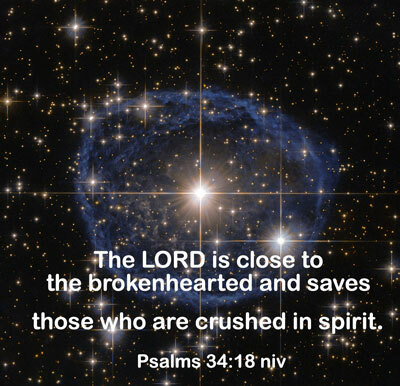 Psalms 34:18 The LORD is close to the brokenhearted; he rescues those who are crushed in spirit. I love the picture that verse paints. He leans in. Not as a casual, critical or nosy observer, but with genuine concern and the power to heal. God wants to make broken people whole. 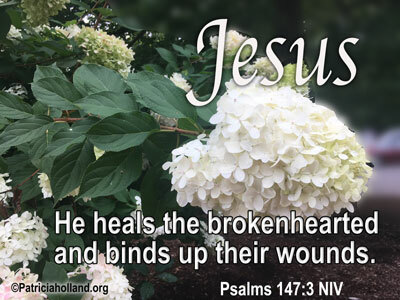 Psalm 147:3 (NIV) He heals the brokenhearted and binds up their wounds. Praise God! Jesus still works miracles. Jesus’ death on the cross was redemptive and regenerative. He came to bring wholeness. I’ve held broken things in my hand. Broken things that I desperately wanted to put back together: Beautiful plates. Beautiful vases. Beautiful Humpty Dumpties “that all the king’s armies and all the king’s men couldn’t put back together again.” Oh I could glue them together, but they’re still broken, useless and ugly! But God’s power goes so far beyond ours. He loves to restore broken people. There is a drastic difference. Restoration is wholeness, nothing missing, nothing broken-sozo. Sozo is an important word. Made whole, not just saved, but made whole. Jesus died to save us, but His work on the cross has additional benefits. He wants to make you whole. Are you broken? Are there places in your life that still ooze with pain? Jesus wants to make you whole. Still, the reality is, wholeness is your choice. God has already chosen it for you, but He will not violate your will. You must give Him access through faith and prayer. The account in Matthew 15 tells a story of a woman with a broken daughter and a broken dream. The thing that makes this story stand out is she brought her brokenness to Jesus. His response is surprising. He ignored her. But, she persisted. His comment was excluding. But, she persisted. And because she had faith, persisting, pushing faith, her daughter was made whole. Jesus complimented her faith. Did her faith feed her activity or did her activity feed her faith? Maybe it’s both ways? We act when we have faith. When we obey with an appropriate activity, it feeds our faith. responded by going to Jesus. requested that Jesus heal her daughter. God wants you to be whole! I’m not saying that everything will be easy. Still, God wants to heal your hurts and give you the grace and strength to go through difficult times. He wants to make you whole! One more thing, when God restores, He even gives us a new wrapper, sorta like a crayon wrapper. It protects us from being broken and identifies us as His treasured possession. But it is beautiful and it labels us. He is the only one that can do that you know! He calls it a robe of righteousness. It identifies us as His child! This entry was posted in Emotions, Encouragement, Healing, Peace and tagged broken hearted, encourage, heal your broken heart, Jesus heals the brokenhearted, strength. This really stood out to me as I read your blog. It is such a beautiful, vibrant and wonderful picture of how God restores us, protects us and seals us as His own. You have such a gift in crafting words and pictures that help create a vivid and lasting memory. P.S. I miss your cooking…..